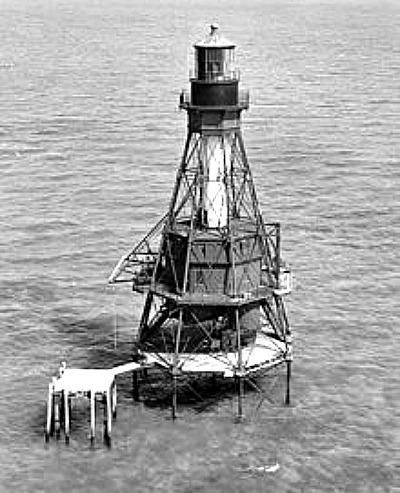 The American Shoal lighthouse was built in 1880 and was the last of the lighthouses to be placed in the Florida Keys. Operational today, this Florida Keys lighthouse warns passing ships of their pending proximity to this beautiful, and dangerous coral reef. In fact, this is considered to be one of the more dangerous reefs in the Florida Keys. Over the centuries, this reef has wrecked numerous ships. On your next Key West dive you should easily be able to discover scattered bits and pieces of their remains. Many of these remnants will be encrusted with coral, while some will be partially buried in the sandy bottom. If you're scuba diving in Key West, you, or your companions, will find that this is also a great Florida Keys snorkeling site. At the lighthouse, the water is the shallowest at 4 feet in depth. Further out, it drops to a depth of 94 feet making this also good for reef diving. This diversity in depth is one of the reasons why diving parties pick this site. It's the perfect combination for groups that include advanced divers, novices, and snorkelers. Another bonus is that this Key West dive site is less frequently visited than Looe Key Reef. This makes it's a more relaxing, less congested Florida Keys dive spot. However, don't discount Looe Key Reef. It consistently ranks in the top 10 dive sites, and if time permits, you could even squeeze in a wreck dive on the popular Adolphus Busch. You should realize that this reef dive is a fairly long way out from Key West Fl. 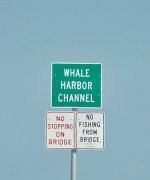 This means dive trips from this major hub aren't that plentiful. You may have more luck with Florida Keys dive charters located further up the Lower Keys. Don't let the distance dissuade you however. This is an absolutely beautiful coral reef and the lighter traffic is a true bonus. Even though it's a bit further out, American Shoal is one of the nicer Florida Keys dive sites. Especially since it has the value of the added depth which many of the Florida Keys coral reefs don't.